Vivo is all set to launch the V5 Plus selfie-focused smartphone in India on Monday. The company has scheduled a launch event at 12pm IST in New Delhi. To recall, the smartphone was unveiled globally last week. The Vivo V5 Plus price in India may have been leaked last week by an offline retailer claiming that pre-orders had begun at Rs. 27,980. The smartphone was unveiled alongside the Vivo V5 Lite, and it's possible the company may launch this variant in India as well. 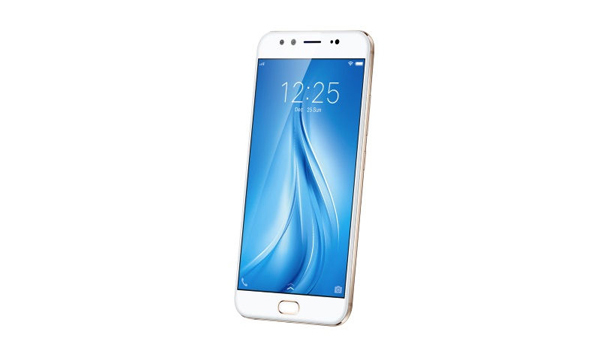 The dual-SIM Vivo V5 Plus smartphone runs Funtouch OS 3.0 based on Android 6.0 Marshmallow. It sports a 5.5-inch full-HD (1080x1920 pixels) display. It is powered by a 2.0GHz octa-core Snapdragon 625 SoC coupled with 4GB of RAM. However, the company's entire focus with this smartphone seems to have been on its camera department. In terms of optics, the smartphone packs a 16-megapixel rear camera, tagged with LED flash. However, the truly defining aspect in the camera department comes in the form of a dual camera setup at the front (20-megapixel + 8-megapixel sensors). The 20-megapixel camera on the Vivo V5 Plus makes use of Sony's IMX376 1/2.78-inch sensor with f/2.0 aperture and 5P lens system, while the 8-megapixel camera captures depth-of-field information. This effectively means that the smartphone's front camera setup can produce 'Bokeh' effect, made popular by iPhone 7 Plus. Notably, unlike the Apple flagship, the Vivo smartphone is capable of producing this effect with front camera setup instead of rear module. The Vivo V5 Plus comes with inbuilt storage of 64GB, which is expandable via microSD card (up to 256GB). It houses a 3160mAh battery that supports fast charging. In terms of connectivity options, the V5 Plus offers 4G LTE, Wi-Fi 802.11ac, Bluetooth 4.2, and GPS. The listing of the phone on company's website suggests that it will be made available by the company in Gold colour option only. The smartphone measures 152.8x74.00x7.26 mm and weighs 158.6 grams. The Vivo V5 Plus comes with a fingerprint scanner embedded right into the home button.